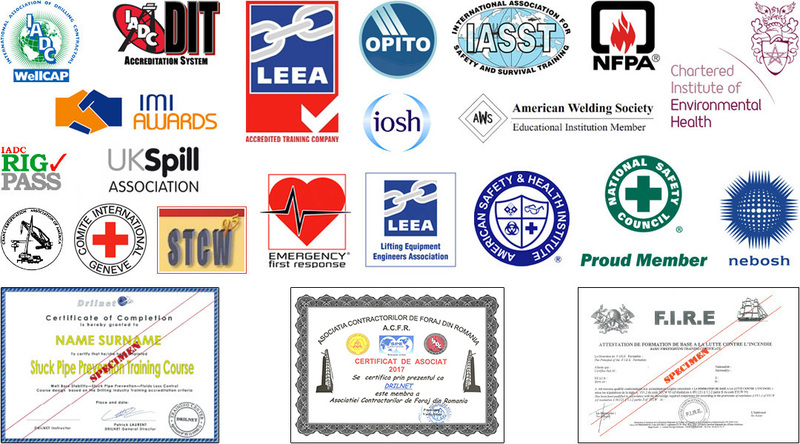 Our company has been accredited since 2000 by the French authorities as a training center under the number 93 13 0999613. DRILNET is a proud member of the Society of Petroleum Engineers, the International Well Control Forum and the Romanian Association of Drilling Contractors. 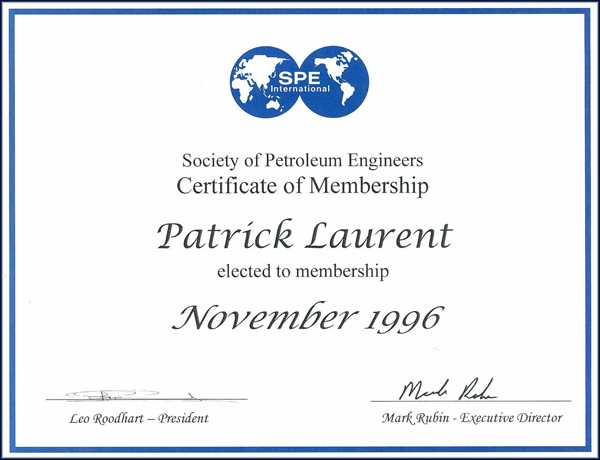 The Society of Petroleum Engineers (SPE), is a largest individual-member organization serving managers, engineers, scientists and other professionals worldwide in the upstream segment of the oil and gas industry. SPE offers a unique opportunity to contribute to the profession through their programs and activities and many of their accomplishments are driven by the dedicated members. The International Well Control Forum (IWCF) is an oil industry organisation established in Europe in 1992. Their primary purpose is to develop and administer the well control certification programs for personnel employed in Drilling, Workover and Well Intervention operations. The Romanian Association of Drilling Contractors (ACFR) was established in 1994. Currently ACFR includes 55 companies, of which 11 are from USA, France, Germany, Holland, Hungary, Norway and other countries. The main orientations of the ACFR members’ activity are their implication in the maintenance and development of hydrocarbons production, the re-evaluation of the oil-gas zones and the optimizing of drilling services and the stimulation of drilling re-entry. 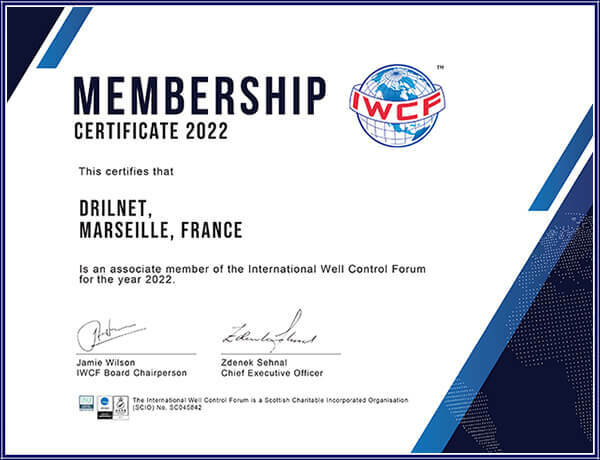 Additionally to IWCF, DRILNET provides, directly or through their partners, a number of international certifications: STCW 95, ICRC, IADC, OPITO, NEBOSH, IOSH Managing Safety, IMI Awards, AWS, LEEA, Emergency First Response, American Safety & Health Institute,Chartered Institute of Environmental Health, NFPA, National Safety Council, Crane Certification Association of America, IASST, UK Spill, etc.